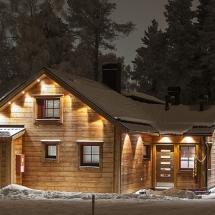 Enjoy a relaxing 3 night break at the L7 Luxury Lodge and marvel at the fantastic Northern Lights. Chase the northern lights across the sky on an evening snowmobile adventure and savour the silence of a snowshoe experience with a starry sky as your companion. 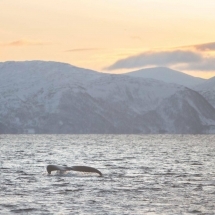 Travel to Alta in Norway to view whales in their natural environment and join a handpicked selection of winter adventures. 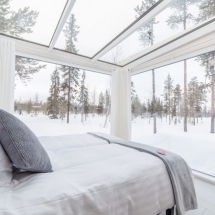 Surround yourself in deep snow and enjoy a cosy cabin stay deep in Finland's Boreal forest. 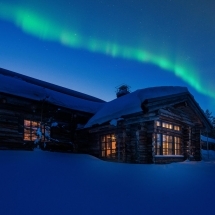 Enjoy downhill skiing, the chance to view the Northern Lights and meet Santa himself. Escape to the Retreat at the Blue Lagoon in search of rejuvenation of body and mind. Enjoy luxury accommodation surrounded by a private lagoon and access to spa experiences. Spend your nights glamping in a cosy lavvo tent and your days with adorable huskies during this dog sledding adventure near Alta in northern Norway.